The elves of Prestonsburg have been hard at work all through the night, slashing prices, making unique pieces, and sprinkling magic to make a season you won’t believe. It’s the time of year that we get to say thank you and show love to those you hold dear. Few deserve these things more than Mom. We get it, Christmas shopping is hard. What do you get someone that has everything? How do you give the world to someone while being on a tight budget? Where do you even start? Well, folks, Christmas time is about joy and cheer, and fun will be had again this holiday season! That’s where we come in! Allow us to guide you through this season best picks for moms. Even better, you don’t have to travel 500 miles to find the perfect gift. This year stress is out; shopping local with ease is in. 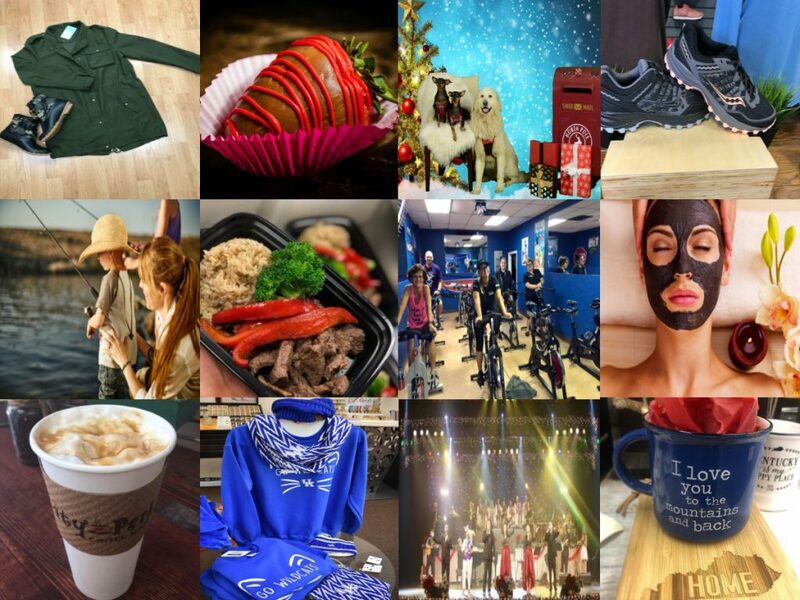 This year, as you’re making your list and checking it twice, we want you to THINK LOCAL. The ‘Burg is quirky by nature, and that means offering the best unique gifts that will make Mom smile ear to ear. We’ve made it easy to navigate gift shopping like a breeze. 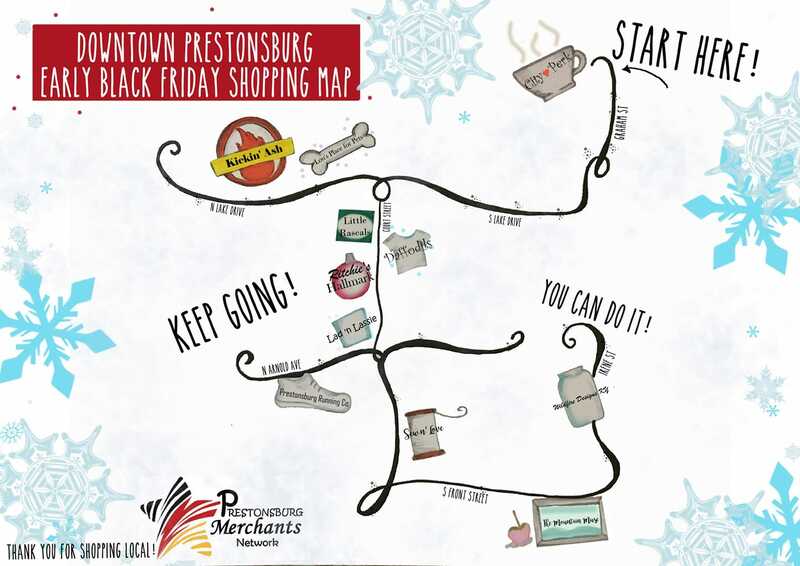 Many of these are even offering special discounts for Prestonsburg shoppers! Why This Gift: Your face reminding mom how good her genes are 365 days a year. A calendar is not only practical but personal. Pick out 14 of your favorite memories to take mom through the new year; bonus points for those who recreate old childhood photo-ops as adults. Why This Gift: There’s many things that mom’s love, but her family and Kentucky always rank highest. This Christmas, keep mom looking good with a reminder of how loved she is. Many local boutiques offer a range of KY apparel to choose from. Don’t miss out on the adorable mama bear charmed bracelets that can go “casual cool” or “business meeting boss”. Why This Gift: You know, I know, Moms certainly know, but sometimes we forget just how busy a day in the life of a mother is. Help mom refuel her go-go juice with a unique coffee mug this holiday season. We love “I Love You to the Mountains and Back” from Wildfire Designs KY and, of course, you can’t go wrong with a personalized “Prestonsburg” mug. 4) Cupcakes, Fudge, and Peace of Mind, Oh My! Why this Gift: Pick up some homemade treats for when the kids are being sour and she needs something sweet! There’s nothing that delights us ladies more than something sweet that we don’t have to share. Fortunately for us, there’s multiple options for our sweet tooth to savor, whether we like something chocolatey, nutty, or with a little unicorn pizazz. Yes, that is an actualy fudge flavor you can pick up for mom, and, yes, she will absolutely love it. Why This Gift: Alright, now we’re talking. Whether you treat her with the gift of a massage, new hair-do, or makeover, a spa day is the perfect holiday gift for a couple reasons. 1) It’s a gift that has a side effect of peace and quiet. 2) It offers two things moms rarely get enough of—self care and relaxation. 3) It’s the perfect gift to show mom you recognize the amount of work and effort it takes to run a family. Why this Gift: The gift of COFFEE. Does this really need an explanation? Why this Gift: Here’s a gift that keeps giving long after the day it’s opened. Gift mom with an experience that will fill her with laughter and create memories she’ll always keep. Whether you’re in the seat next to her or offer this up as a datenight for her and her partner in crime, memories remain a gift you can’t put a price on. Why This Gift: You heard that right! Give mom the gift of feeling good! With so many options—group fitness, personal training, high intensty, or relaxed meditation—there is something for all individuals. Tell mom to go on with her bad self and jump into a cycling, dance, yoga, or weight lifting class! Why This Gift: The ole candle may not be unique, but it sure is tried and tested. Guess what? The results are always good! Teenagers, sports, the new puppy you forgot to mention—keep her world smelling good through all of it! Why This Gift: Being a new mom is a scary time. Help make it as easy as possible during a season that is meant for love and compassion. There’s a variety of options in this department—new bibs, Rock-n-Roll Lullaby albums (yes, please), unique onsies, or what we suggest, a baby soother. Why This Gift: We all know that one that is just uncontrollable. That one dog, of course.. This year, win all the brownie points by getting her favorite sidekick all glitzed and glammed. Extra points for anyone that gets mom a matching item with her dog! Think about matching up a bracelet or tshirt with her pets collar or leash! Why This Gift: Moms are BUSY! We all know that one mom that can pull anything out of her car at any given moment—sneakers, hairtie, new shirt, a rake, 2 flower pots..you get the point. Help mom hit reset before the new year with a little car R&R. Her vehicle will be shiney and clean and her heart warm and fuzzy. Why This Gift: We all know mom runs the world. This year, give her something to make that job a little easier. Now she can suit up in comfort and style with a fresh pair of sneakers or chacos! For siblings that always battle over who can get the best gift, this also makes the perfect duo surprise with the gym certificate! Why This Gift: What’s one thing all mom’s need? Peace and quiet. If your mama bear finds that out in the wild, then follow the call! Hook mom up over the holidays with a new fishing pole, bow, or hiking stick. Partner this up with a homemade coupon for “One day with me on the Sugarcamp Mountain Trails or Dewey Lake” and you’ll really land a homerun. Why This Gift: Now, we know this gift isn’t traditionally on Santa’s wish list. That’s why it’s the perfect unique holiday gift. Chances are that ol’ family rug has seen enough spaghetti spills and tipped mugs to give mom nightmares. This year, give mom a little freshness. Not only does it offer refreshing style and comfort; it also let’s you acknowledge that you may have made some messes growing up but you will always be thankful for mom being there to help you clean it up. Why this Gift: All mamas need the chance to unwind. Luckily, in the foothills of the Appalachias, we have a few options to help! Keep mom from sneaking grandpa’s favorite tobacco pipe by gifting her a new gingerbread flavored vape pen. Who said brown paper bags can’t be classy? Celebrate local history and our mountain roots with a jar of Kentucky Moonshine or Kentucky Mist. After all, Christmas is about bringing jolly and cheer to those far a near.